Egypt takes over AU for two years - SABC News - Breaking news, special reports, world, business, sport coverage of all South African current events. Africa's news leader. Egypt will take over six years after its suspension from the AU in 2013 after the country's army ousted the then President Mohammed Morsi. 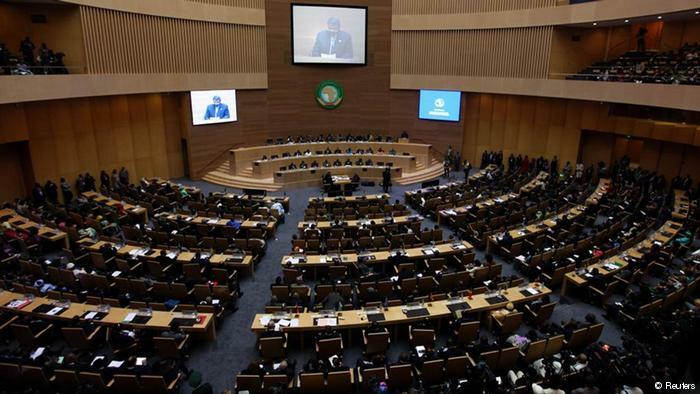 Egypt will take over the leadership of the African Union (AU) for a two-year term when African Heads of State and Government convene for this year’s summit in Addis Ababa, Ethiopia. President Abdel fat al Sisi will take over from Rwanda’s Paul Kagame, who spearheaded institutional reforms in the continental body. It is not clear yet what Sisi’s priorities will be, however he will be expected to steer to an end financial and administrative reforms, that will see a more financially independent institution. Egypt takes over six years after its suspension from the AU in 2013. On the agenda during this month’s summit is conflicts in the continent as well the issue of forced displacements. The African Continental Free Trade Area will also be a key focus as Africa pushes towards a common market for all its 55 member states. Sisi, whose country has signed and ratified the deal, will seek to push for more ratification so that the deal can take effect. The Democratic Republic of Congo’s (DRC) new President Felix Tshisekedi will attend the summit just weeks since the AU challenged his legitimacy by casting doubt on the results that put him in the lead against opposition favourite Martin Fayulu. This entry was posted on 10 Feb 2019,06:54AM at 6:54 AM and is filed under Africa, Homepage Latest Stories Slider, Homepage Featured Story Slider. You can follow any responses to this entry through the RSS 2.0 feed. Both comments and pings are currently closed.